Preheat a grill to medium-high heat. Mix together the ground beef, soy sauce, Sriracha, 2 tablespoons of the peanut butter (you can leave the peanut butter out of the patties if desired) and a pinch of pepper. 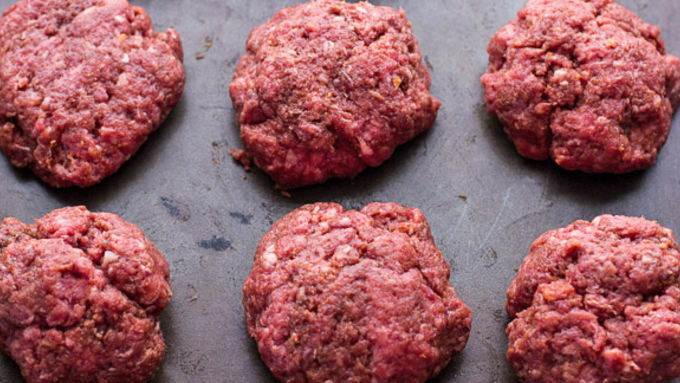 Divide the beef in 12 balls and flatten each ball into a patty the size of the slider buns. Butter both halves of each bun. When the grill is medium high, place the patties on the grill and cook for 4 minutes. Flip the patties over with a spatula and cook until your desired doneness is reached. 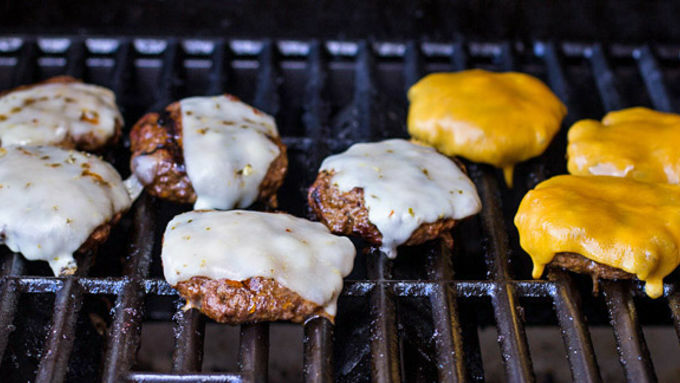 During the last 2 minutes of cooking, place a slice of cheese on the top of each patty and close the grill lid. Remove the sliders to a plate and cover with foil. 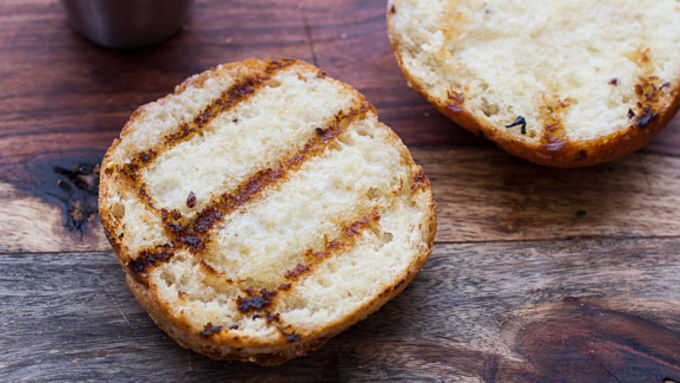 Grab the buttered slider buns and place cut side down on the grill for 1-2 minutes to toast them. 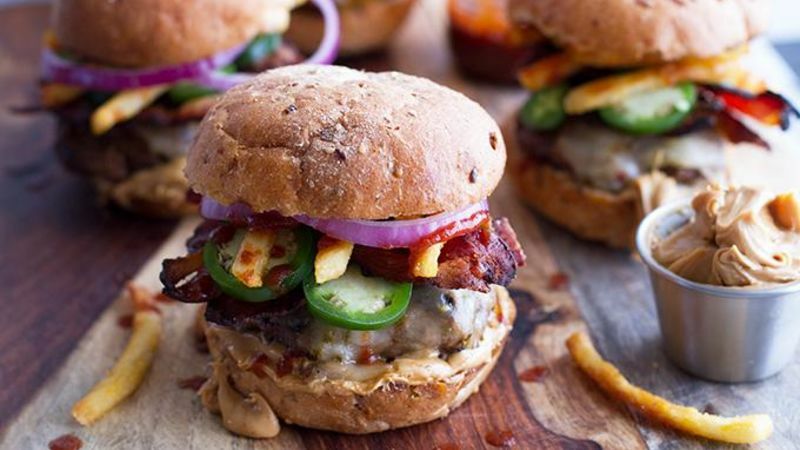 Divide the remaining peanut butter among the 12 bottom buns, top each with a burger patty, slice of bacon, jalapenos, crispy fries and red onion. Drizzle with more Sriracha, if desired. 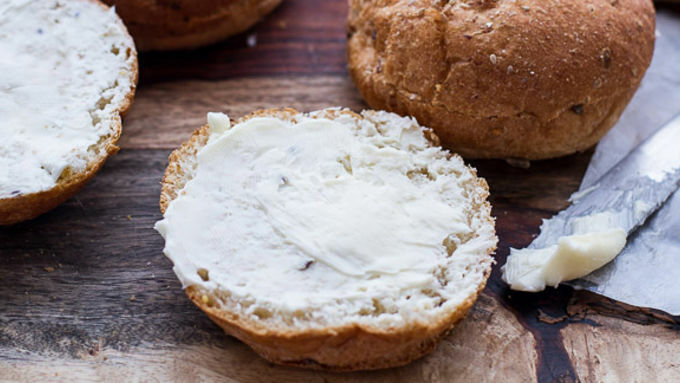 Cover with the top of the bun and serve immediately! 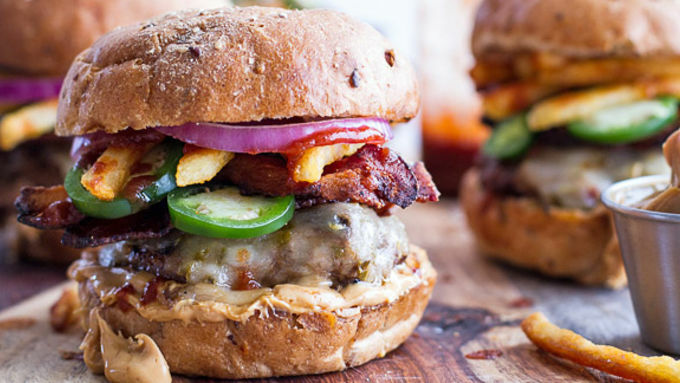 These sliders are like no other – with peanut butter, sriracha and bacon! If sliders are on the scene, it can mean only one thing: summertime is just around the corner. Which also means Memorial Day is almost here! To me, Memorial Day is the unofficial start to summer. The weather is finally warming up, kids are nearing the end of school and grills are firing up. To get the unofficial start to summer off to the right start, I'm bringing a killer slider recipe to the cookout. It’s my favorite way to one-up a burger, and once you try it ... well, there's no turning back. Peanut butter and bacon plus burgers – what a great combo. If you're a little worried about too much peanut flavor, just leave the peanut butter out of the patty and just slather it on the bun at the end. Same goodness. Serve 'em up and enjoy!